Thank you for choosing our office for your child’s dental needs. Our dentists and the entire team specialize in pediatric dentistry. We strive to provide a positive dental experience for you and your child. The child’s first visit is important for several reasons. In many instances, it is the child’s first experience with dentistry; in some cases, the child has had a previous unpleasant experience. Patience and calm on your part will help ensure a successful and stress-free visit for your child. It is best if you refrain from using words around your child that might cause unnecessary fear, such as “needle”, “shot”, “drill”, or “hurt”. The office makes a practice of using words that convey the same message, but are pleasant and non-frightening to the child. By doing this, it will make the visit very positive and it allows us to establish a safe and trusting relationship. Schedule the appointment as early as possible in the day, when your child is alert and fresh. One of our team members will reach out to each family prior to your child’s first appointment. 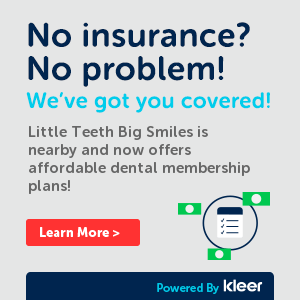 We here at Little Teeth Big Smiles recognize that every child is different, comes into the appointment with different behaviors, styles of learning and respond to different behavioral techniques. Our team member will guide parents through a small series of questions which will help us to obtain key information about your child prior to their office visit. Knowing how to best meet each child where they are will allow us the best opportunity to create an outstanding experience specific to their expectations and needs. We will also gather information on your child’s favorite toy, Disney character or special interests so we can provide something familiar to your child at their first visit to make them feel more at ease. When your child enters our practice, we want them to feel welcome, safe and that we care about each of them personally. 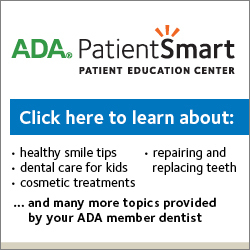 Our office, as well as The American Academy of Pediatrics (AAP), The American Dental Association (ADA) and The American Academy of Pediatric Dentistry (AAPD) all recommend establishing a “Dental Home” for your child by 12 months old. Consider your child’s first visit as a “well baby checkup” for his or her teeth. A gentle but thorough examination of the teeth, jaw, bite, gums, and oral tissues to monitor growth and development and observe any problem areas such as thumb-sucking. A gentle cleaning, which includes polishing teeth and removing any plaque, tartar build-up and stains. A demonstration of proper dental hygiene and oral health instruction. We invite you to be a part of your child’s experience during the initial examination and other appointments if necessary. However, there might be times where the child maybe more cooperative if he / she were to accompany our team member through the dental experience. Our purpose is to gain your child’s confidence and overcome apprehension. In order to allow necessary space for the Doctor and Dental Team to provide outstanding care for your child, only one Parent /Guardian may accompany a patient into the operatory. Due to your child’s safety and the safety of our dental staff, we ask that siblings of patients remain in the reception area. It is our belief that siblings who wait in the reception area and not accompany patients, have greater success in their own future dental appointments. Be incredibly positive about this experience. Avoid negative words such as “hurt, drill, pull, and shot”. Please do not tell your child that the “dentist will not hurt you” as this may never have entered his/her mind. Instead, you may wish to assure your child that the dentist and her helpers will be gentle and friendly. Talk about dentistry with a positive attitude. This initial examination involves nothing uncomfortable and should be perceived by the child as non-threatening. Bring only the child that is to be seen for the dental visit so that both the parent and dental staff can concentrate on that child’s needs. After the appointment, compliment your child’s good behavior at the dentist’s office in the presence of other members of the family. Please do not tease or have anyone else tease your child before coming to the dentist. We’ve had several kids very nervous even though they’ve never been to a dentist because of teasing in a negative way.